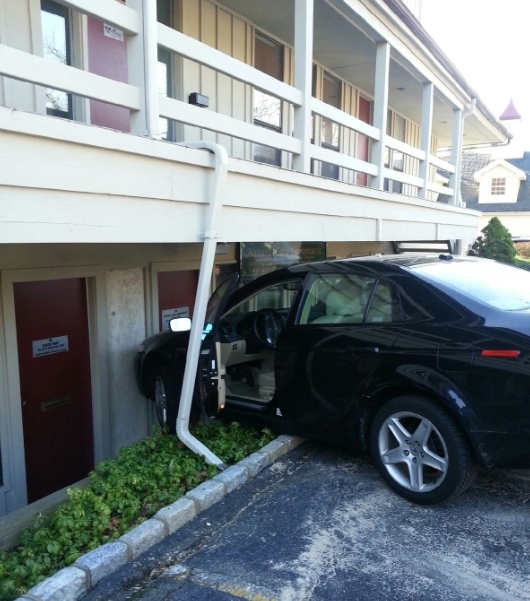 The Centerport Fire Department responded to an accident after an Acura sedan struck an office building, on Tuesday afternoon at 202 East Main Street. The female driver apparently lost control of the car while parking and rolled forward, causing minor damage to the building. None of the building’s occupants were injured. An elderly couple that were passengers in the car were transported to Huntington Hospital by the Centerport FD Rescue Squad, to be checked out. Chief of the Department Nick Feeley, Second Assistant Chief Tommy Boyd, along with 25 firefighters and rescue volunteers responded with an ambulance, engine, and heavy rescue truck.